In this classic children's novel, we are told that pirate Bill Jukes served aboard the Walrus under Captain Flint. Further, Captain Hook is described as the only person Barbecue ever feared, and even Flint feared Barbecue. Captain Flint and his ship, the Walrus, are from Robert Louis Stevenson's Treasure Island, as is Barbecue, which is Long John Silver's nickname. In his speech "Captain Hook at Eton," Barrie revealed that the pirate attended Eton in the late 19th century. Hook must have been transported back in time somehow to the 18th century, where he began a piratical career, encountered Silver, and subsequently immigrated with his crew to the dimension or pocket universe known as Neverland, where he ceased aging. Well, this would bring in Pan. There was a Sherlock Holmes crossover with Pan in the AU section of Win's book. 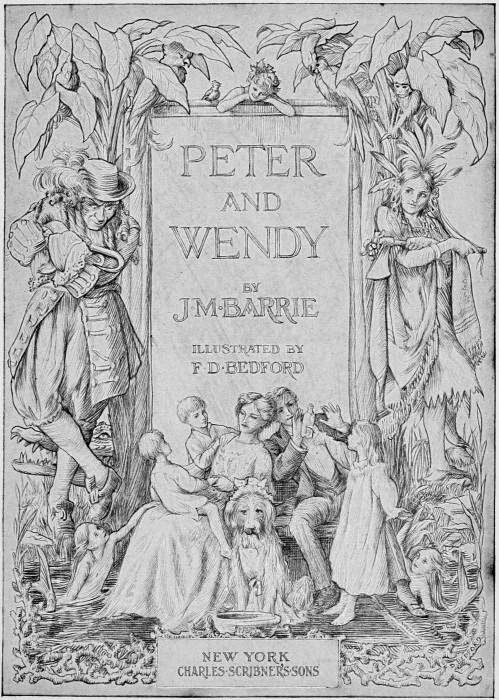 Along with the Narnia and Wonderland books, there seems to be a pattern of children from the CU being transported to whimsical fantasy lands. There is also a pattern of adult male adventurers being sent to science fiction realms, i.e. John Carter to Barsoom.